Times vary depending on sunrise. 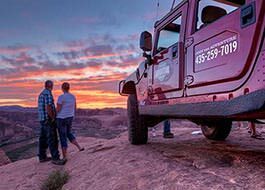 A must-do Moab adventure! Meet your ground crew and pilot just outside of town. As the sun begins to rise, you'll take part in launching your balloon. Watch in awe as your giant balloon fills with air and begins to take shape. After a brief orientation, you'll load into the basket with your professional balloon pilot and begin floating into the sky. As your ground crew shrinks in size and begins following your path, the surrounding views are magnified. The astounding spires and arches begin to take shape in the distance. 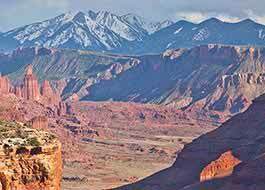 The 13,000 foot La Sal Mountains cast their shadow across the quiet town of Moab, Utah as the sunrise paints the cliffs and canyons in every direction. 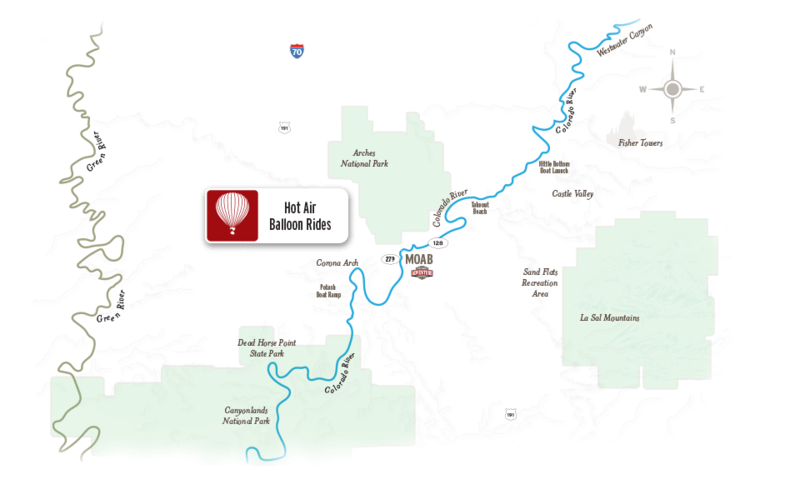 Based on the direction of the wind, your balloon flight path may take you over towering buttes and deep canyons or simply provide the most amazing viewpoint available. Your ground crew will meet you at your unique landing location. From there, you'll pack up the balloon and be returned to your vehicle. Be sure to bring your camera so you can share this once-in-a-lifetime ballooning experience with everyone! Our balloon ride was really awesome and actually made me speechless. It was also interesting to see how the balloon was prepared for the big flight. Hope to be back soon! I had the best time on the balloon ride. Everybody needs to do that at least once in their lifetime. The crew on the ride was so friendly. It was the best and I would gladly do it again.